The Fair Labor Standards Act (FLSA) is a federal law that imposes certain requirements on employers, including minimum wage, overtime pay and other work-related standards for full- and part-time employees. The FLSA protects anyone who works in the private sector or for government agencies from unfair labor practices. It also allows employees to recover wages if their employer violates provisions of the law. 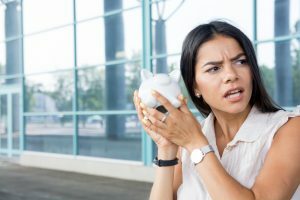 If you believe your current or former employer owes you money, you should consult with an attorney that has extensive experience in New York Minimum Wage and Overtime Law. You may be able to recover wages if you file a suit, but the amount depends on the specifics of your case. Under the FLSA, you’re entitled to a minimum wage of at least $7.25 per hour, but states are allowed to set a higher amount that would apply. In New York, the minimum wage starts at $9 per hour, with a sliding scale depending on where you work. Because New York’s minimum wage is higher than the minimum wage set by the federal government, most employees who work in New York (with certain exceptions) are entitled to be paid a minimum wage of at least $9 per hour for each hour worked up to 40 each week. In addition, the FLSA sets overtime at 1.5 times the employee’s regular rate of pay (whether that rate is minimum wage or not). A workweek in excess of 40 hours triggers overtime pay. You don’t receive a final paycheck when you leave your employment or at termination. If you decide to retain an attorney and sue your current or former employer, you can seek to recover your back pay plus an equal amount in “liquidated” damages. In addition, you can recover attorneys’ fees and court costs if you win your case. You do have legal remedies if your employer violates the FLSA, but enforcement actions require significant experience and extensive knowledge of the law. The provisions of the FLSA are complicated, especially as they relate to the legal remedies intended to protect you as an employee. A wage and hour lawyer in New York will have the knowledge and experience to assess your case and pursue your rights under the law. For a Free Consultation, contact the experienced lawyers at Cilenti & Cooper, PLLC.